- King Juan Carlos will impose his son the sash of the Captain General of the Armies, in a solemn military ceremony at Zarzuela Palace. 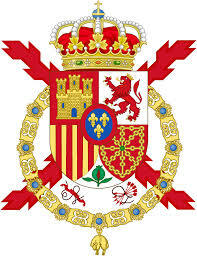 - Members of the Royal Family, the family of the King and Letizia´s family will attend the proclamation in Congress. - King Felipe and his family will tour the streets in a Rolls Royce, probably covered, for safety reasons. - King Felipe and Queen Letizia will host a reception for 2,000 guests, officials and representatives of various sectors of Spanish society. Why Victoria de Marichalar is not present? I feel the same! Everyone looks so lovely and it's an incredible moment! 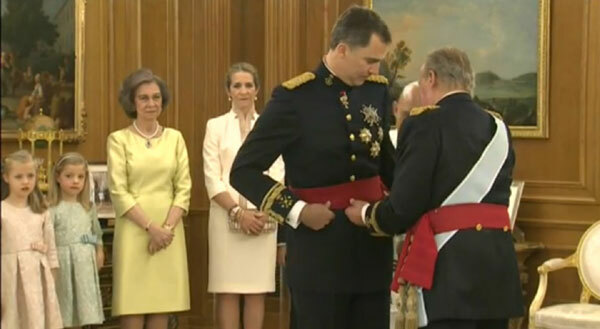 After receiving the sash the King went onto kiss his family and then Infanta Elena curtsied and Felipe de Marichalar bowed to him ..
Btw, Leonor and Sofia are looking very cute. the girls are really precious! 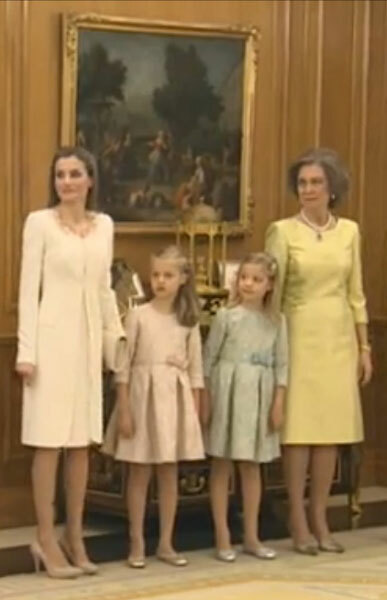 Why queen Letizia is not wearing a tiara?? No long dress? Oh well :( I suppose it really isn't going to be grand. The girls look amazing though. All the ladies looked lovely. Felipe looked so nervous, but at the same time very regal. Tough days for king Juan Carlos. The dress code is morning dress Rossina, which doesn't include wearing a tiara. Sofia also didn't wear one 39 years ago. I thought the ceremony will be similar to the Dutch .